Valley Child Care and Learning Centers Phoenix Preschools Corporation ("Valley Child Care and Learning Centers Phoenix Preschools") maintains this site (the "Site") for your information, education and communication. Please feel free to browse the Site. You may download material displayed on the Site for personal use only, provided you also retain all copyright and other proprietary notices contained on the materials. You may not, however, distribute, modify, transmit, reuse, report, or use the contents of the Site for public or commercial purposes, including the text, images, audio, and video without Valley Child Care and Learning Centers Phoenix Preschools's advance written permission. Your access and use of the Site is also subject to the following terms and conditions ("Terms and Conditions") and all applicable laws. By accessing and browsing the Site, you accept, without limitation or qualification, the Terms and Conditions and acknowledge that any other agreement regarding this subject matter between you and Valley Child Care and Learning Centers Phoenix Preschools is superseded and of no force or effect. 1. Everything you see or read on the Site is copyrighted unless otherwise noted and may not be used, except as provided in these Terms and Conditions or in the text on the Site, without advance written permission from Valley Child Care and Learning Centers Phoenix Preschools. A Valley Child Care and Learning Centers Phoenix Preschools neither warrants nor represents that your use of materials displayed on the Site will not infringe rights of third parties not owned by or affiliated with Valley Child Care and Learning Centers Phoenix Preschools. 2. 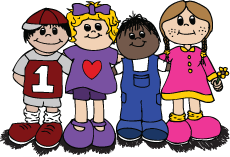 While Valley Child Care and Learning Centers Phoenix Preschools uses reasonable efforts to include accurate and up-to-date information on the Site, Valley Child Care and Learning Centers Phoenix Preschools makes no warranties or representations as to its accuracy. Valley Child Care and Learning Centers Phoenix Preschools assumes no liability or responsibility for any errors or omissions in the content on the Site. 3. Any communication or material you transmit to the Site by electronic mail or otherwise, including any data, questions, comments, suggestions, or the like is, and will be treated as, non-confidential and non-proprietary. Anything you transmit or post may be used without restriction by Valley Child Care and Learning Centers Phoenix Preschools or its affiliates for any purpose, including but not limited to reproduction, disclosure, transmission, publication, broadcast, and posting. Furthermore, Valley Child Care and Learning Centers Phoenix Preschools is free to use any ideas, concepts, know-how, or techniques contained in any communication or material you send to the Site for any purpose whatsoever, including but not limited to developing, manufacturing, and marketing products using such information. 4. The trademarks, logos, and service marks (collectively the "Trademarks") displayed on the Site, including those of Valley Child Care and Learning Centers Phoenix Preschools are the registered and unregistered Trademarks of Valley Child Care and Learning Centers Phoenix Preschools and others. Nothing contained on the Site should be construed as granting, by implication, estoppel, or otherwise, any license or right to use any Trademark displayed on the Site without the advance written permission of Valley Child Care and Learning Centers Phoenix Preschools or such other party which may own the Trademarks displayed on the Site. The unauthorized use of the Trademarks displayed on the Site, or any other content on the Site, except as provided in these Terms and Conditions, is strictly prohibited. You are also advised that Valley Child Care and Learning Centers Phoenix Preschools will aggressively enforce its intellectual property rights to the fullest extent of the law, including criminal prosecution when and where appropriate. 7. The Valley Child Care and Learning Centers Phoenix Preschools products, materials and technologies depicted on this Site may be protected by and covered in one or more U.S. and/or foreign patents. 8. Valley Child Care and Learning Centers Phoenix Preschools has not reviewed all of the sites linked to this Site and is not responsible for the contents of any off-site pages or any other sites linked to the Site. Your linking to any other off-site pages or other sites is at your own risk. © 2006-2019 A Valley Child Care and Learning Centers Phoenix Preschools Corporation. All rights reserved.